yet very modern and spacious home! 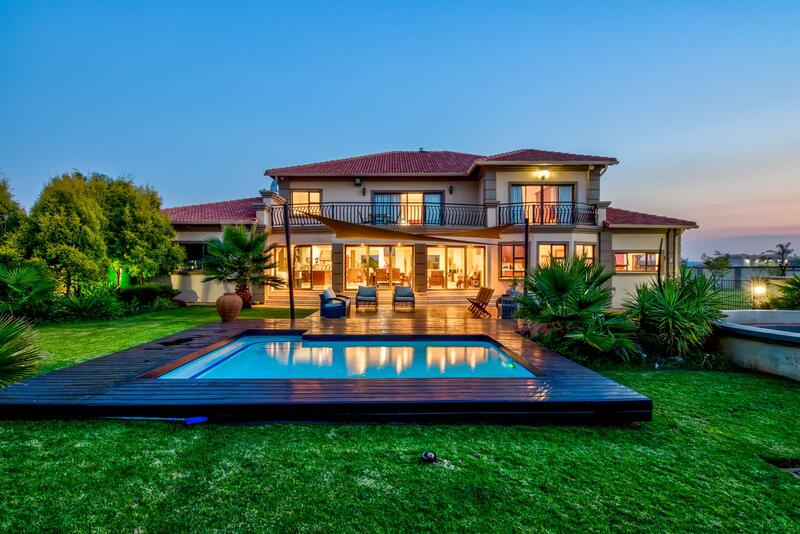 A large staircase that leads up to the top floor has 3 huge wooden floor bedrooms with stunning wall to wall cupboards and ultra-modern en suites, plus a study and large PJ lounge with fireplace. The main bedroom has a private balcony too. The guest (4th) bedroom with en suite is down stairs. All full (bath, shower, basin & toilet) bathrooms are ultra-modern and tiled. 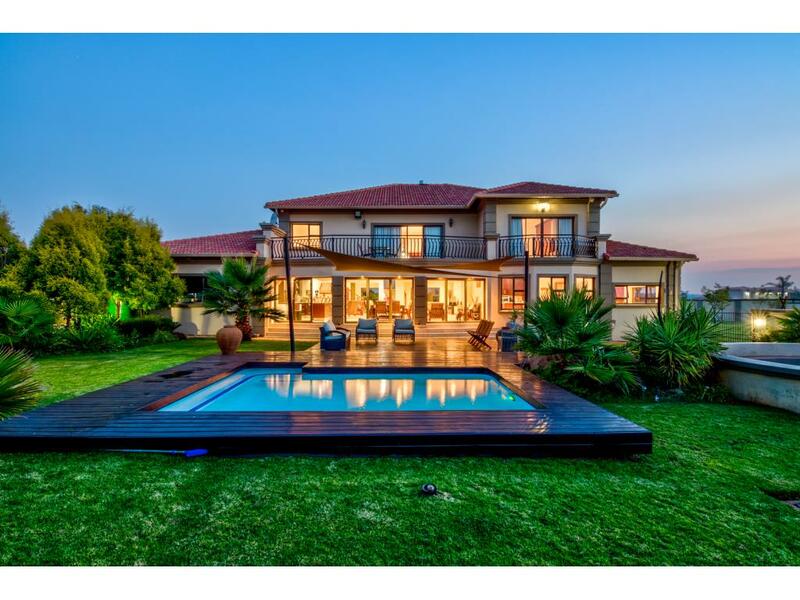 A very large open plan has a reception lounge, gorgeous built in bar with marble tops that lead out onto the garden and stunning wooden deck and sparkling pool through stackable doors. Plus a family room with a modern fireplace and dining room that also leads out onto the lush garden through stackable doors. The kitchen is chic and modern with gas stove & oven plus solar dome, micro dome with marble tops, pantry cupboard and lots more cupboard space enough to make any wife happy. A separate scullery and laundry as well. The large lush garden is walled, a wooden deck with a marque, a beautiful pool all put together gives you the feel that you in your very own tropical garden. Plus a big boma with lots of space for the children and pets to play!! There are 2 double garages, plenty of paving plus a gorgeous covered porch that has bragging rights. Security: - Beams, CCTV, Alarm & Armed Response plus 24 hour security at the access gate! With so much more to offer eg: R/O Water System, Wifi- Fibre, DSTV……….